With recent surveys revealing airlines’ low marks for customer satisfaction and declining loyalty, risk management firm Chargebacks911 counsels air carriers that a renewed focus on service can boost revenues and provide a competitive edge. Monica Eaton-Cardone, co-founder and COO of Chargebacks911, advises airlines to increase customer service to decrease chargebacks. Having live representatives available to provide prompt resolution or even just a sympathetic ear can go a long way toward improving consumer satisfaction and goodwill. Consumer satisfaction rankings reveal that airlines are tied for second-to-last place among 43 industries (1), and a recent survey found that brand loyalty has taken a dive among air travelers (2). 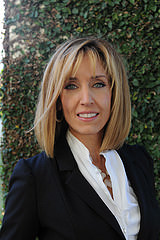 Monica Eaton-Cardone, co-founder and COO of dispute mitigation and risk management firm Chargebacks911, cautions that dissatisfied consumers are more likely to file chargebacks; so she advises airlines to focus on customer service as a way to raise satisfaction, reclaim loyalty, reduce chargebacks and increase revenue. According to the latest rankings published by the American Customer Satisfaction Index (ACSI), airlines currently average a 72% satisfaction rate—ranging from a high of 80% for JetBlue and Southwest to a low of 62% for Spirit, with legacy carriers American, Delta and United at or just below the average (3). The 2015 year-end ratings put airlines in a four-way tie for second-to-last place, along with fixed-line telephone service, health insurance and the U.S. Postal Service; only Internet service providers and subscription telephone service scored lower (1). Another survey found that “airlines and hotels are missing the mark on consumer loyalty,” reporting that just 22% of travelers care whether a particular airline or hotel is offered during the booking process (2). These findings echo Deloitte data that showed only 44% of travelers fly at least three-quarters of their air miles on their “preferred” airline (2). Unhappy travelers frequently voice their displeasure via critical tweets, posts or reviews; and if they happen to be journalists or bloggers, those experiences can be broadcast to an audience of millions. A Time article documented one reporter’s canceled flight, lost-luggage issues and inability to reach a live customer service representative (4), while a post on The Digerati Life details how the author filed a chargeback to resolve an overcharge and goes on to explain how and when to file a credit card dispute with an airline or other online merchant (5). Eaton-Cardone acknowledges that airlines often have to contend with issues that are beyond their control, such as weather-related flight delays, penalty charges, or confrontations between passengers, in addition to the issues they are accountable for, such as luggage handling, overbilling or oversold flights. She says the way airlines handle all traveler complaints, regardless of the source, can have a tremendous impact on their reputation, satisfaction ratings and profitability. “Travel-related problems have the potential to ruin vacations, interfere with business or make fliers miss important family events; so, understandably, travelers are often very upset, angry or stressed when they encounter difficulties. Having live representatives available to provide prompt resolution or even just a sympathetic ear can go a long way toward improving consumer satisfaction and goodwill. It can also help prevent issues from escalating to the point where travelers feel compelled to air their grievances in a public forum or file credit card chargebacks to obtain a refund,” she noted. Eaton-Cardone counsels airlines to adopt additional customer service options that better align with their online presence. She says that the industry has grown beyond traditional communication methods, citing the fact that nearly 60% of all travel purchases are conducted through mobile. “We can all learn from online veterans like Amazon” she says, “where customer service is not only provided 24/7 - but the initial contact attempt is logged through a one-click inquiry form. This provides Amazon the ability to follow-up with the customer after their service call in order to help refine quality control processes to improve future relations.” In addition to implementing more intelligent customer service improvements, she advises air carriers to focus on risk management and chargeback mitigation. Airlines can learn more about risk management and chargeback mitigation by requesting a free chargeback analysis from Chargebacks911. Monica Eaton-Cardone is committed to helping online merchants and service providers combat fraud and minimize chargebacks. She recently spoke at the Airline and Travel Payments Summit about how machine learning can thwart fraudsters, and she will be presenting at the upcoming CNP Expo in Orlando and Ticket Summit in Las Vegas. She is also available for interviews and future speaking engagements. For further information on Chargebacks911 and its comprehensive risk management and chargeback mitigation solutions, visit http://chargebacks911.com.